The Washington County Sheriff’s Office is currently seeking the community’s assistance in locating a runaway 16 years old. Giselle Aquilar is from Hagerstown, but was last seen on August 12, 2017, at 12:00 PM, leaving a relative’s house in Silver Spring, MD. Giselle is 5’4”, 125 lbs with brown hair and brown eyes. She also has a small diamond nose ring. 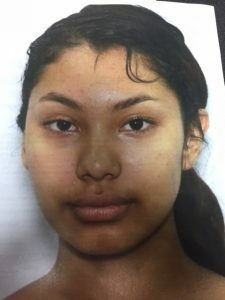 Anyone with information on Giselle’s location is asked to contact the Sheriff’s Office at 240.313.2170.